The New York hospital is looking to attract top-flight business media coverage. 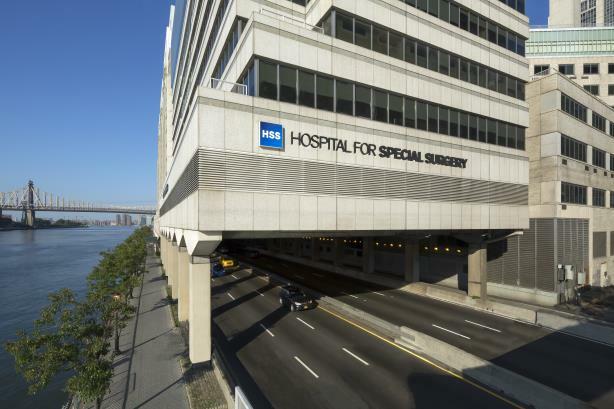 NEW YORK: The Hospital for Special Surgery has hired Ogilvy as PR AOR, moving the medical center's communications and brand advertising AOR work to one agency. The hospital is a longstanding advertising client of Ogilvy that expanded the WPP firm’s remit after John Englehart, SVP of communications and CMO, decided to cut down its agency roster, said Jennifer Risi, Ogilvy chief comms officer and MD of media influence. "HSS carefully determined that Ogilvy’s Media Influence team is the right partner at the right time for us in our transformation journey," Englehart said, in a statement. "Today, we are at an important ‘coming of age’ moment and feel that Ogilvy has the right communications strategy to help us achieve our goals." Englehart also said Ogilvy’s How You Move ad campaign for HSS has "proven very successful over the past year." The agency will handle work focused on reputation. Risi said she'll work with CEO Louis Shapiro to boost brand awareness. Risi will serve as a senior adviser, supporting Shapiro; Liz Roche, VP of media influence, will be the day-to-day lead on the six-figure account. "It’s really about getting the hospital all the credit for the work they’re doing," Risi said. "We’re going to help the world know, not only from an industry perspective, but consumers. We want folks to know they’re changing the game." HSS wants to broaden its reach beyond healthcare and obtain coverage from business outlets such as Forbes, Fast Company, and The Wall Street Journal. "Those are the decision-making outlets that other media listen to," Risi said. "We’re not going to be doing a lot of trade media." The medical center is also planning to leverage its Center for Professional Sports Medicine, which cares for professional athletes. Work began at the start of the year. Porter Novelli was the incumbent on the account. "We are proud of all the work we achieved together over the years, and wish HSS much continued success," said a Porter representative. Ogilvy also won additional work for the Los Cabos Tourism Board after a competitive review. The contract is in the mid-six-figure range, Risi said. For the past year, Ogilvy has worked with the Los Cabos Tourism Board on issues management and strategic communications, Risi said. The firm worked on tamping down negative coverage of the region after the U.S. State Department issued a travel advisory for Mexico in response to a wave of violence that saw homicide cases triple in a year. Satisfied with the results -- the number of domestic and international visitors to Los Cabos is up 6% year-over-year -- the tourism board expanded Ogilvy’s remit to include consumer PR and media relations. Work is set to start at the end of Q1. Andrea Romero, a VP of media influence, will serve as daily account lead and Risi will be a senior adviser. The bidding process included Ogilvy, NJS, Newlink, and a local agency in Mexico, according to a source familiar with the matter. Editor's note: This story was updated on January 30, 2019 with comment from Porter and to clarify that HSS has moved its ommunications and brand advertising AOR work to one agency.